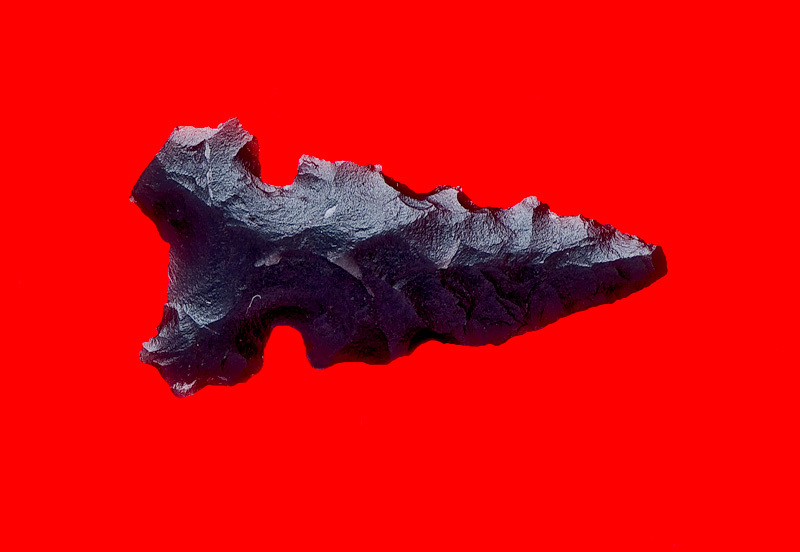 I'm creating these pages as a way to catalogue my collection and learn about point typology. It's also the place where I'll be recording the notes I take while doing research on ancient America. These points are not for sale though I am occasionally interested in purchasing old collections especially if they are personal finds. Personal recollections about the finding of the artifacts are definitely of interest to me. Many times the story is more interesting than the point itself. 9,000 B.P. to 11,500 B.P. Anasazi, Ancient Pueblo People or Ancestral Puebloans were a prehistoric Native American culture centered on the present-day Four Corners area of the Southwest United States, noted for their distinctive pottery and dwelling construction styles. Archaeologists still debate when a distinct culture emerged, but the current consensus, based on terminology defined by the Pecos Classification, suggests their emergence around 1200 BC, during the Basketmaker II Era. 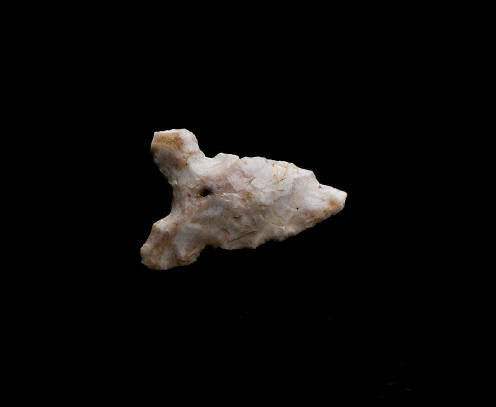 The term Hohokam, borrowed from the Akimel O'odham, is used to define an archaeological culture that existed from the beginning of the current era to about the middle of the 15th century AD. As an abstract construct this culture was centered on the middle Gila River and lower Salt River drainages, in what is known as the Phoenix basin. San Pedro or variant of some sort. Actually I don't see any listed for this area that closely resemble this point. 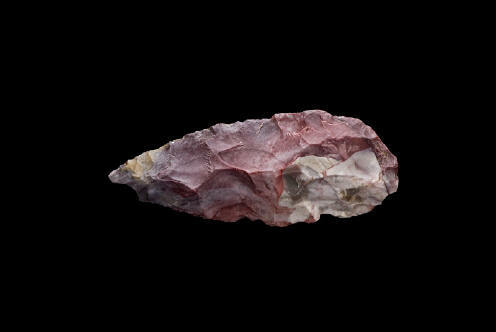 Early Archaic, 8000 - 5000 B.P. Provenance: Found as a surface find by Catherine Horne of Descanso. Off highway 395 north of Mono Lake. Classical to Historic Phase, 600 - 200 B.P. 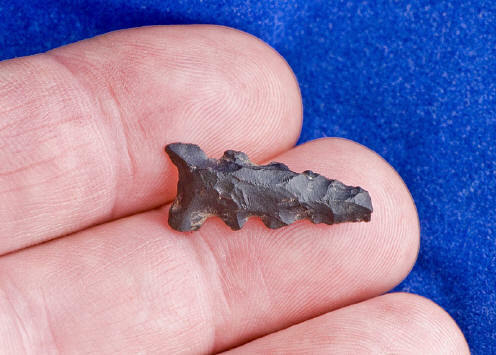 Provenance: Found as a surface find during the summer of 2008 on private land north of Descanso, California by Rob Horne of Descanso. Note: The tip of this point is missing. In its original, undamaged state, it was probably 35 to 40% longer than seen above, placing it at over one inch in length when made by the aboriginal. 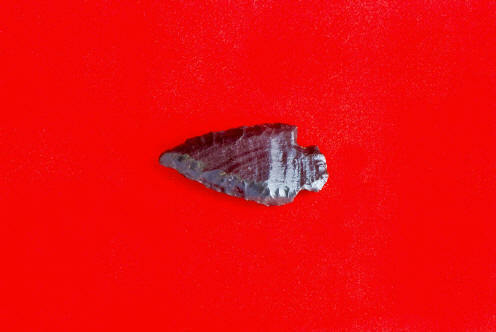 Although probably not as elongated as this arrowpoint, the point seen on the left, in its original form, would have looked similar to this complete Canalino point. Kumeyaay Indians - Our valley was the site of their seasonal campsites during the hot summer months as they would travel from the eastern desert to collect acorns and avoid raiding parties from the Yuma area Indians. Most sources say that the Kumeyaay territory extended south to Baja California and east to the Imperial Valley. 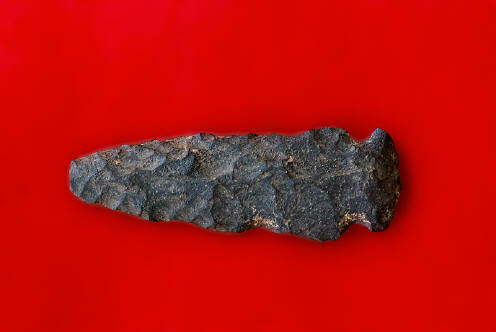 Provenance: Found as a surface find 1999 on private land north of Descanso, California by Rob Horne of Descanso. Desert Traditions Classic/Historic Phases 700 - 200 B.P. Overstreet 10 p. 832 - Arizona and westward into California and Nevada. 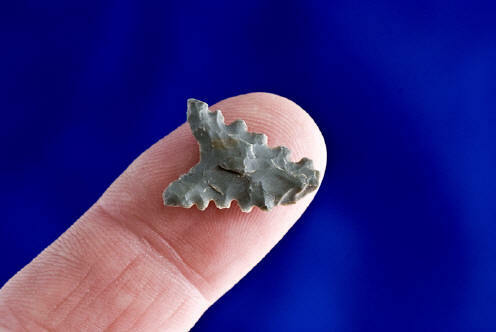 A small, thin, leaf shaped arrow point that resembles a long tear-drop. The base is rounded. Overstreet 10 p. 832 - Arizona and westward into California and Nevada. 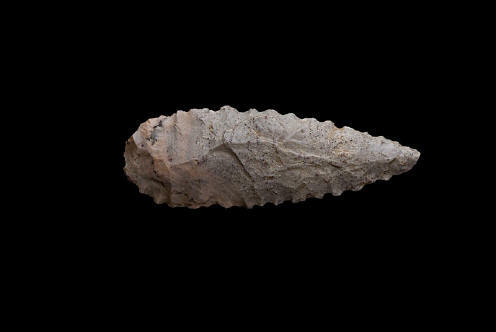 A small thin triangular arrow point with a straight to slightly convex basal edge. Arizona and westward into California and Nevada. 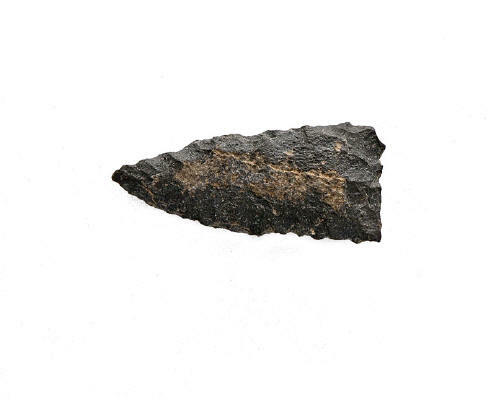 A small thin triangular arrow point with a straight to slightly convex basal edge. 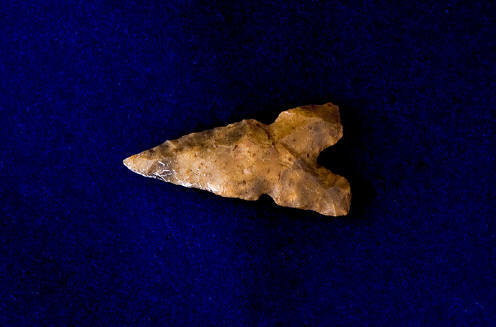 Provenance: Found as a surface find November 2008 on private land north of Descanso, California by Rob Horne of Descanso. Desert Side Notch, Sierra Side Notch ? L 1.14" x W .6"
Classic to Historic, 700 - 200 B.P. Desert Sierra point from an old collection found in the 1950's. 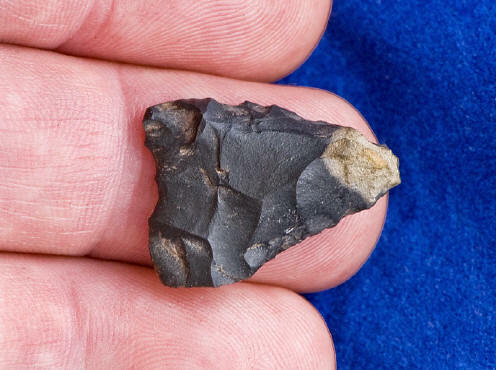 Chert - A Great Basin point. No earlier than 1100 to 1200 A.D. to historic and modern age.